Do you Love to Watch Nickelodeon Channel? Here is fabulous news for all of you Guys. 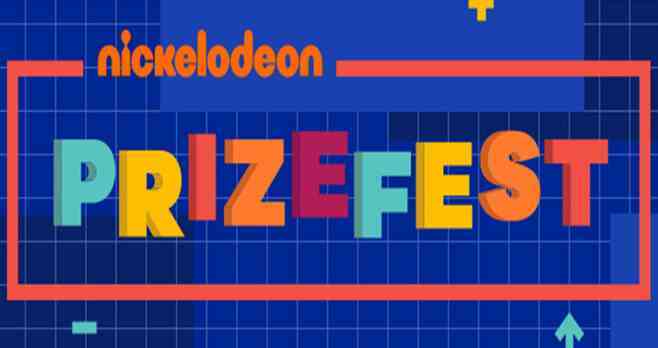 Nickelodeon has come up with Nick’s Trivia Prize Fest Contest in they are giving away Prizes of Nickelodeon Instant Digital Camera, Free Trip to Chicago, A “I Am Frankie” script autographed by cast members, Custom video message from Henry Danger star, Cooper Barnes. So Go Ahead And Enter Nick trivia Prize Fest Sweepstakes at nickprizefeast.com to get a chance to win 1 of the fabulous Sweepstakes Prizes! 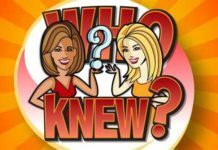 4 How to Enter Nick’s Trivia Prize Fest Giveaway? 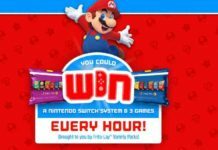 Total 4 individual Sweepstakes will take place between 8:00 pm to 9:00 pm (ET) on November 17, 2018. 1 Prize will be given in each Individual Sweepstakes (4 prizes). Total approx. value for all sweepstakes prizes is $285. Below are the details of each sweepstakes. How to Enter Nick’s Trivia Prize Fest Giveaway? First, Get your Parent Permission before participating Nickelodeon trivia Prize Fest 2018. A random lucky draw will be conducted by the administrator of Nickelodeon trivia Prize fest Sweepstakes to select 1 winner for each individual sweepstakes (4 winners). 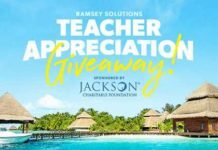 Each Winner Parent will be contacted through email and have 24 hours to respond back in order to claim their sweepstakes prize. Curious to know who are winners of Nick prize fest live 2018? Even I am Curious to know who are these lucky people. Well you can obtain name of the Prize Winner by sending a self-addressed, stamped envelope to: “Nickelodeon Trivia Prizefest Live Sweepstakes – 5/19/18” c/o P.O. Box 10505, Rochester, NY 14610 for receipt by February 17, 2019. Viacom Media Networks, a division of Viacom International Inc., 1515 Broadway, New York, NY 10036. Wow I hope one win! I think I am going to win! haha! how is everyone! I love you guys! Right now I am at my grandma and I had fun today! I hope they come outside right now. Nickelodeon is the best show ever!!!! !